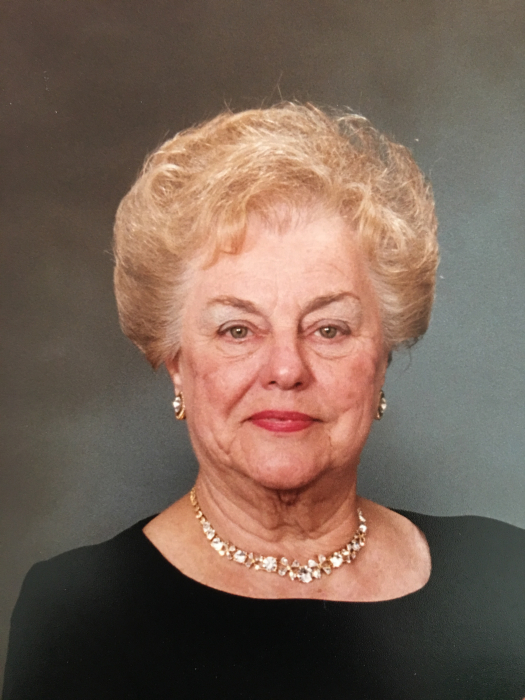 Doris Margaret Hetrich, age 91, of Bern Township, went home to be with her Lord on Saturday, January 19th, at Reading Hospital Tower Health, West Reading, Pa.
Born March 4, 1927, she was a daughter of the late William E. and Jennie (Lutz) Trout. She is predeceased by her loving husband, Forrest W. Hetrich, whom she married August 20, 1949. Raised in Hyde Park, Doris attended Muhlenberg High School. Doris was an avid homemaker, baker and entertainer. She loved animals especially her cat, Herbie. Doris enjoyed music and played the piano "by ear" as she often told her delighted listeners. Her genuine interest in people was evident as an antique dealer where she specialized in linens, textiles and period clothing. Her customers referred to her as the "Linen Lady." She took great pride in preparing her linens and handiwork for display respecting the hours someone had put into creating each detailed piece. Doris was a longtime member of the Berks County Antique Dealer's Association. enjoyed singing tenor in the choir and developing new friendships. In addition to her parents and husband, she is preceded in death by her siblings: Naomi (Trout) Chrisman, Ruth (Trout) Weber, Edwin Trout and Kenneth Trout. Doris is survived by a son, Mark S. Hetrich, Leesport; a daughter, Mary E. Davis and her husband, Lewis, Sinking Spring. She was also a proud grandmother to Sarah E. and Luke N. Davis. Other survivors include several loved nieces and nephews. A Celebration of Life Memorial Service will be conducted on Saturday, February 2nd at 11:00 a.m. at Epler's UCC, West Leesport. A visitation will be held from 10:00 a.m. until the time of service at the church. At Doris's request, in lieu of flowers, memorial contributions in her memory may be forwarded to the Animal Rescue League of Berks County Inc., 58 Kennel Rd., Birdsboro, PA 19508 or the Humane Society, 1801 N. 11th St., Reading, PA 19604.